We immerse ourselves in the glorious wonders of unfettered night-time make-up, exploring what the Theatre of the Nameless collection offers our cheeks and the discovery of a new Precision Ink. Make your face come alive with our first shimmer Powder Blushers. The colour and drama of the new Powder Blushers can be used to define, shine and be the centre of attention. Powder Blusher in Ambition (Neutral) adds a rich radiance to your face as you glow with the dusting of shimmer. Perfect for both day and night depending on how intensely it is applied. 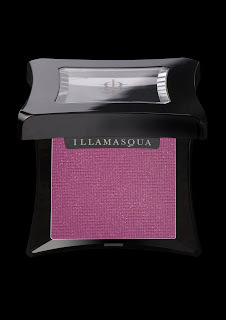 Powder Blusher in Morale (Rosed Flush) mirrors the glimmering starlight that illuminates the insomniac’s lair of unending night-time pleasures. A decadent pigment that dares you to be fearless. Precision Ink in Havoc (Aubergine) is our most exotically coloured Precision Ink yet, this product lets your scrawl hidden messages across your naked flesh, to be discovered at midnight by your secret lover. A core and versatile item within the new collection, it is a certain must have Autumn tone. Stay tuned to see more in-depth looks that the rich and indulgent products the Theatre of the Nameless collection has to offer.